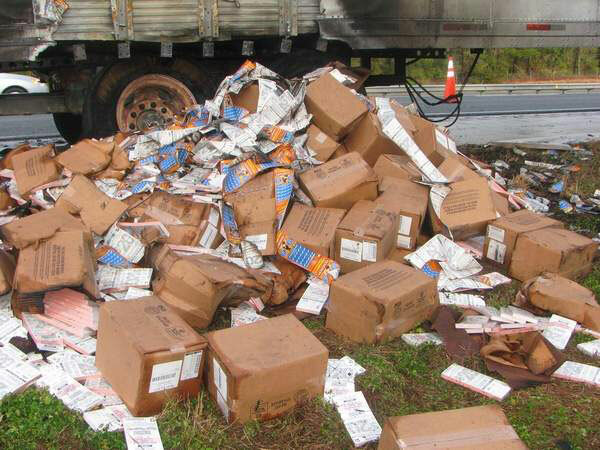 On Thursday, March 11, 2010, a tractor-trailer spilled about 3.5 million scratch-off lottery tickets worth about $70 million on I-75 in Florida. Some sort of mechanical malfunction with the truck’s rear axle caused a fire under the truck. The driver pulled over, released the trailer and pulled the cab forward. 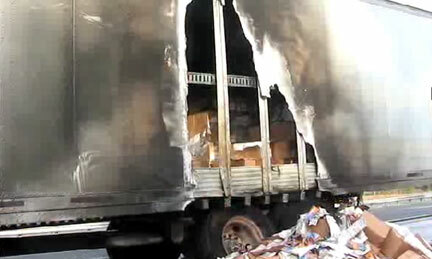 He then used a fire extinguisher on the truck fire, which entered the trailer, burning some of the tickets. More tickets were damaged by water from Marion County Fire Rescue, who arrived at the scene and helped with the blaze. 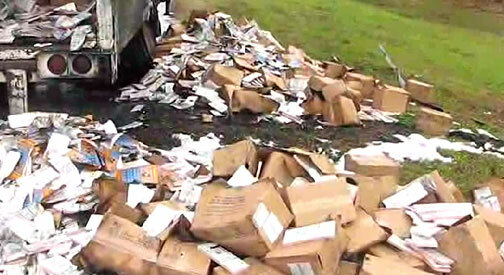 The lottery tickets, some burned, some wet, were scattered on the highway. Florida lottery officials almost immediately cancelled the tickets so they could not be redeemed.